This will be the second low pressure of the weekend. The first, quite fiesty one will bring gales to the Western Isles Saturday night and fresh winds on Saturday to much of UK as a pre-amble. 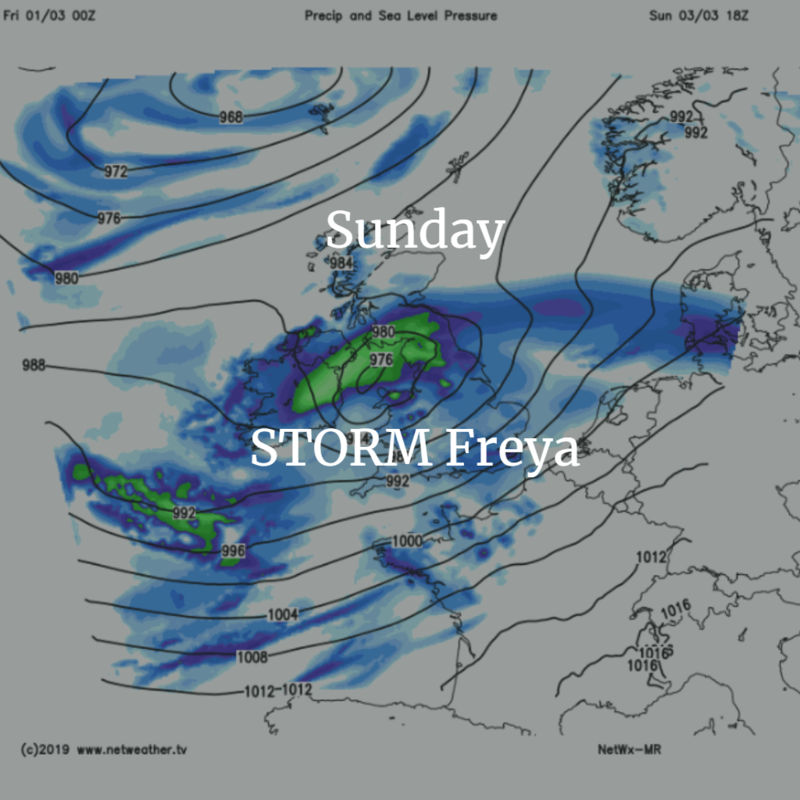 Then Freya is the developing low one the trailing front, coming up from the SW. Will be interesting to see if it has cleared away from eastern Britain into the NOrth Sea in time for the Monday morning commute. 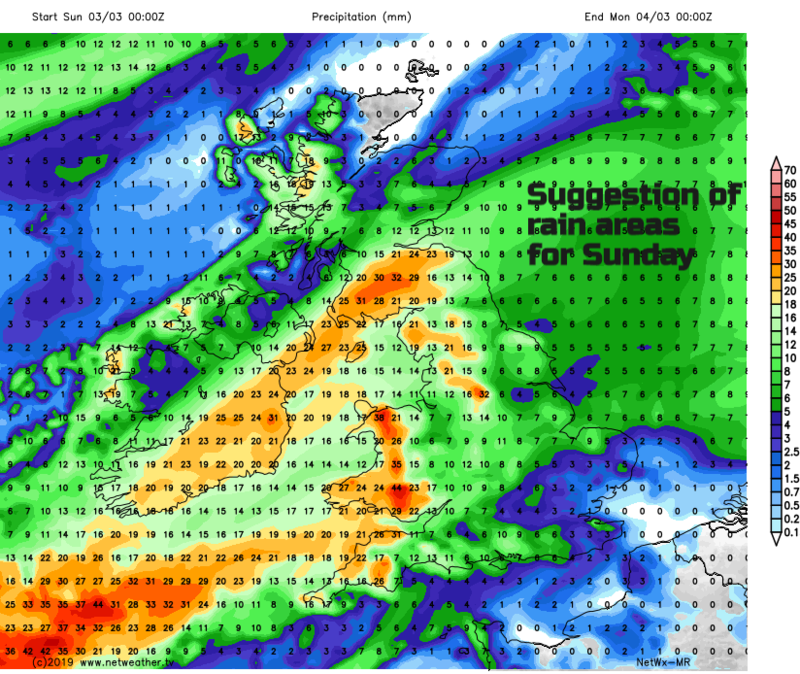 Warning is for wind but there will also be plenty of rain this weekend. I think this will be the most severe storm we`ve had all season. 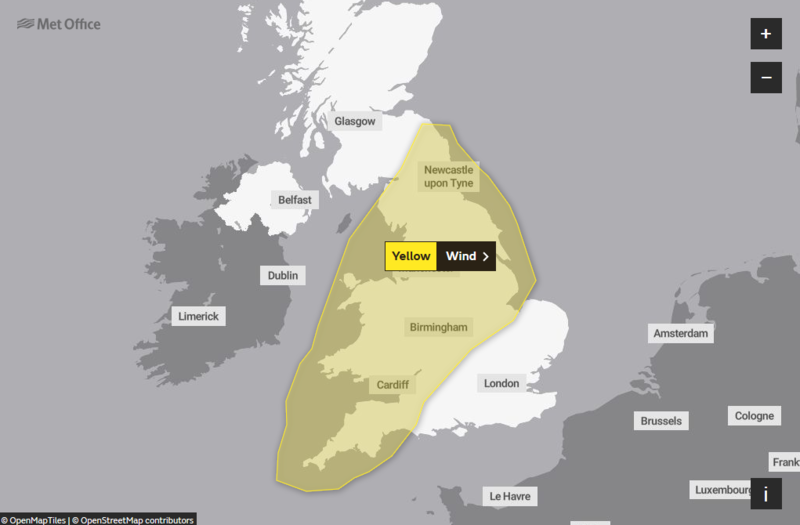 Yes this has been ugraded for my area, North Notts, in terms of wind by Met Office and NW. Strangely XC Weather, which usually has highest wind speed predictions, has lowest of 3. 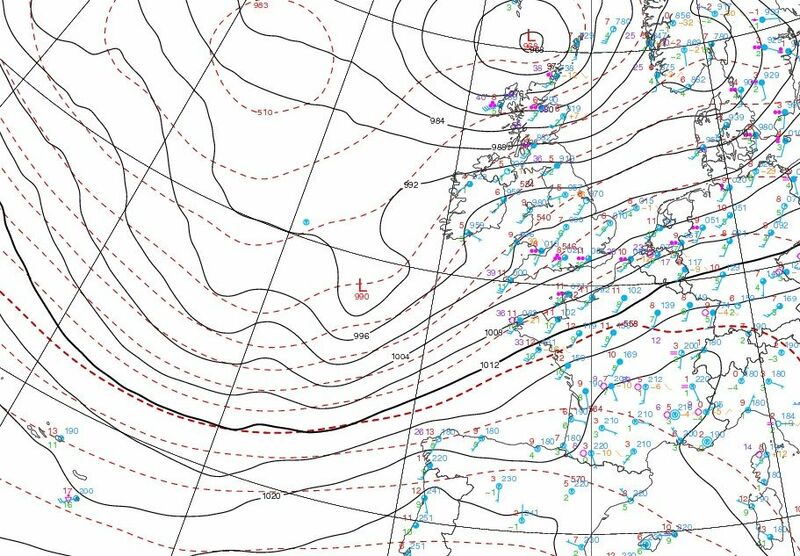 Still differences in the predicted position between the main 3, that is using Met Fax at 00 z Monday. Not sure what Surrey is on about as it has the potential for some high gusts in the usual SW quadrant of the storm. Looks like a blink and you used missed it windy spell as it motors through at a rapid pace. It even may not develop yet. That's what I was referring to, it's over very quickly less than 3 hours of any meaningful wind gusts.. 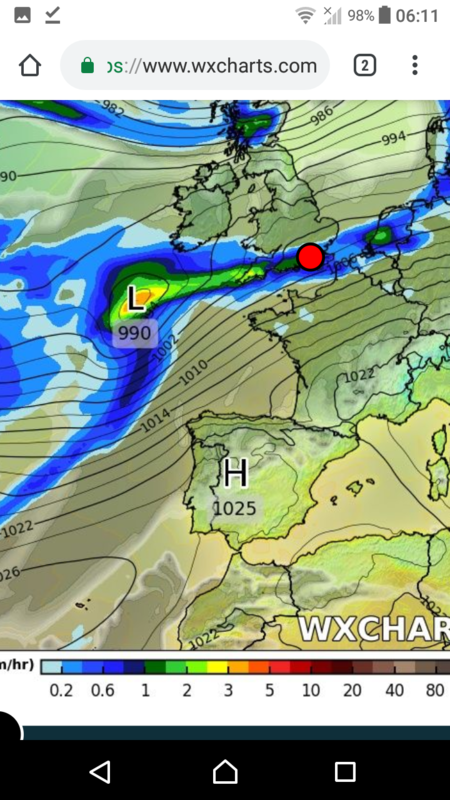 This in coming storm ,i would say as the potential for damage .Track ,speed ,pressure and very important Timing ,just remember the great storm of 1987 ,passed across england in the early hours ,which was a blessing for some another 4hrs later and a few million people would have been out of their beds and on the roads .keep an eye on latest developements ,it could move further north or south , but please gang i personally got caught up in the burns day storm with fallen trees in front of me and behind ,so POtential ,we have been warned , certainly crazy weather ,Stellas on me ,cheers . I was in Romford, Essex for the 1987 event and Brentwood, Essex for the Burns and both were very, very different affairs to this one (unless something changes drastically) - 50 mph gusts with bare trees, I cannot say I'm concerned in the slightest and not sure warrants a warning (fair enough for the 60-70+mph zones) but 87 mph gusts, full leaf tress falling like matchsticks around the house, tiles and bricks flying down the road was worth a warning. Or two. 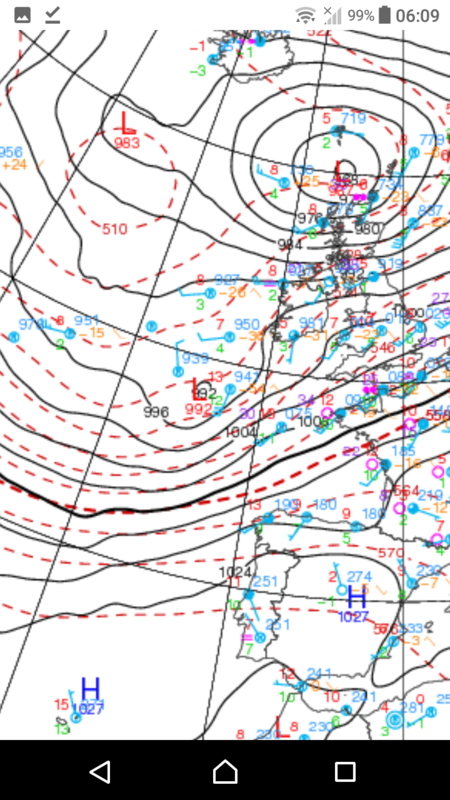 Currently (12Z) it looks to be in the right entrance to the 200 mb flow, about jet strength. I would assume it to move a bit to the north of the actual centre of the jet looking at what data I can find. This would place it at or about the left exit by early morning tomorrow. This is the area where surface lows deepen rapidly. As to its track, then my comment above is probably still valid, most likely would seem to be off SW Eire then about NE to be (funnily enough almost over you Pit), southern Pennines/Peak District by early afternoon, maybe down to about 980-985 mb and out NE'wards. Remember the strongest winds are normally in its SW quadrant. We can all watch its progress to morrow. Be an interesting few hours and hopefully no deaths or serious injuries for anyone. Keep away from exposed beaches etc! Possibly slightly less deeper on the 12oz winds maybe a little less intense but I'm really nit picking at this stage. Now a case of wait and see what the models say tomorrow morning then a wait too see what turns up. The French hi-res has it. Interestingly netweather forecast for us is having none of it. Max gust 46 mph. Big Differences between this and xcweather! Can only see 40-60mph gusts inland on those maps but this one is showing a short period of 60-80mph. Well to Surrey in particular and my old friend The Pit, a certain rather well-known forecaster was once a tad cavalier about a rapidly developing storm They're notoriously difficult to get right. 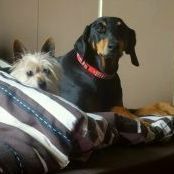 It's these ones which develop at or over the UK which can be very potent. The rapidly deepening low is the one to be most circumspect about. 50-60 mph fairly widely, 60-70 mph in the SW and possibly Midlands later and I don't mind betting we see an 80mph gust somewhere. 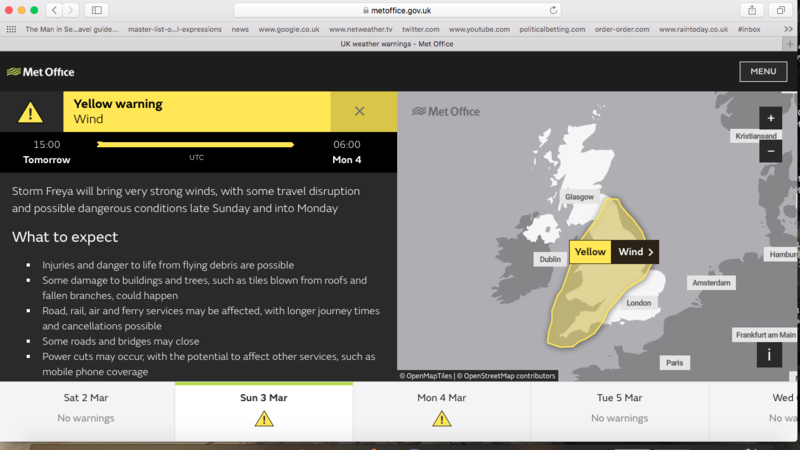 That's worthy of the Met Office warning. So please be careful folks. 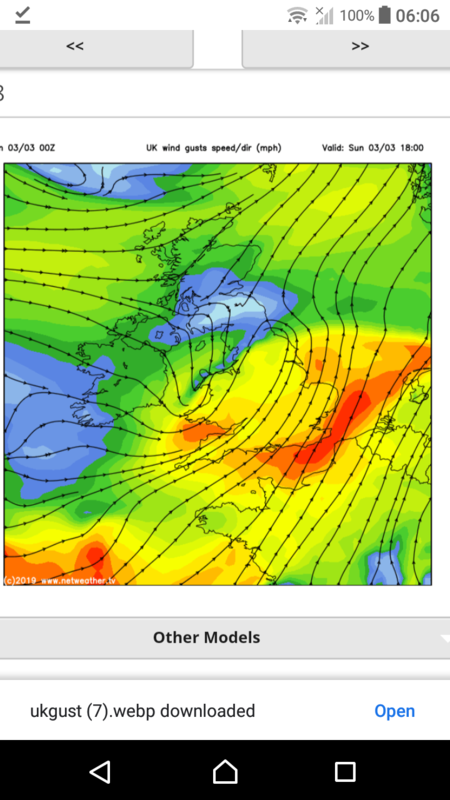 Big downgrades overnight on wind speeds on the GFS to do with the low now hardly deepening.. 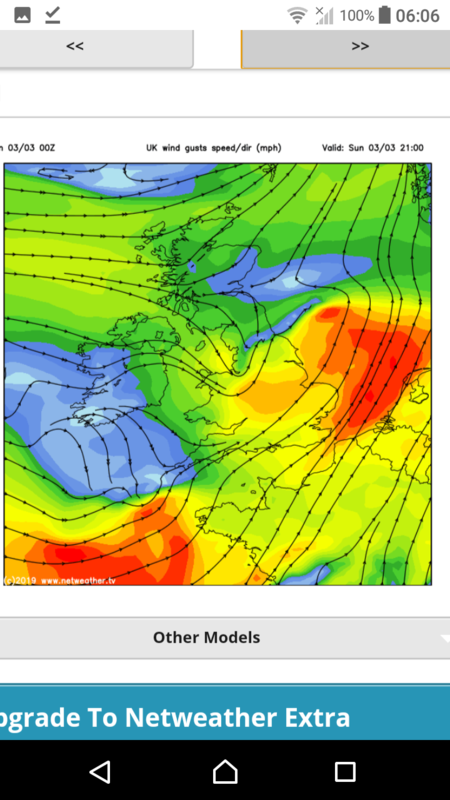 In many years observing the weather I have never known the GFS be correct about UK storms. They either have ludicrously deep ones in mid-Atlantic, or ignore ones that develop and deepen late. This comes from a big fan of the GFS but it's definitely their weakest link. *Well apart from the obvious one that we don't need to go on about.